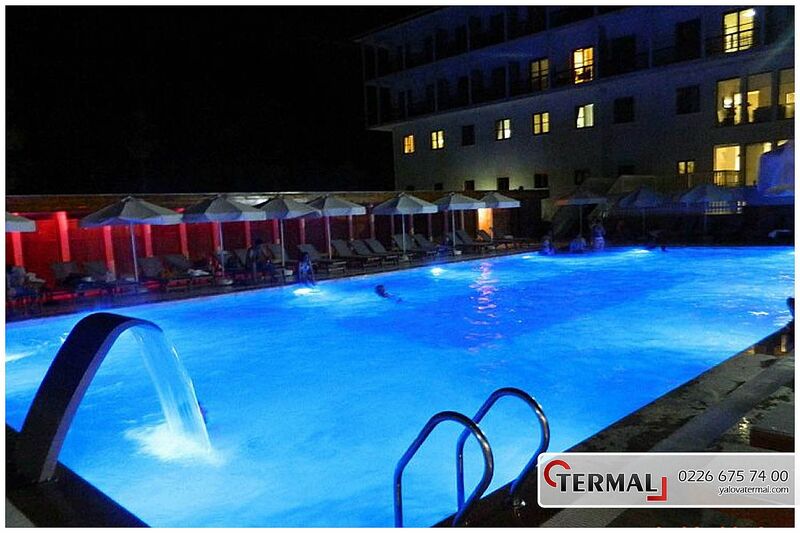 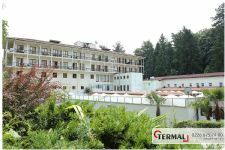 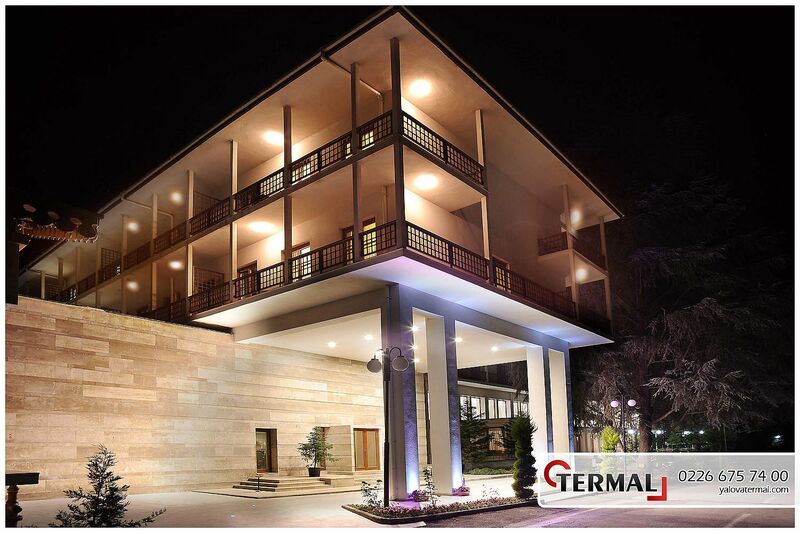 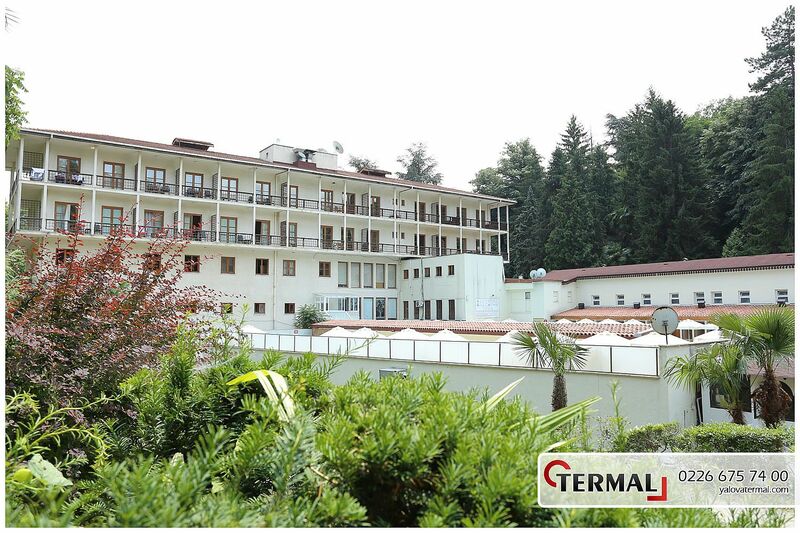 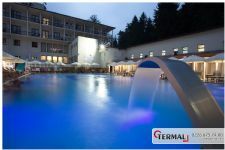 Yalova Thermal Hot Spring Resort is an enterprise of the Ministry of Health. 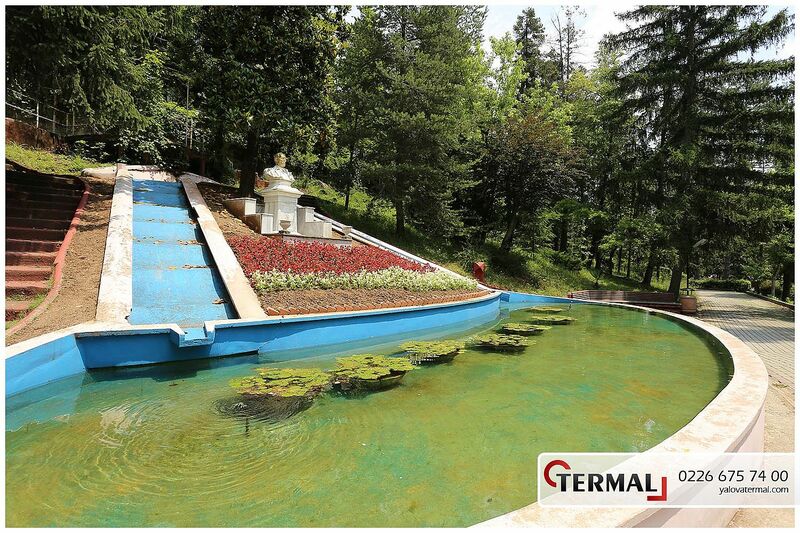 In this facility, which was honored by the words of our great leader Atatürk - 'This place will be the water city of the future'! 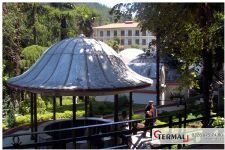 - , manuel therapy, massage, paraffin therapy and acupuncture are rendered in an atmosphere where the nature and the water meet. 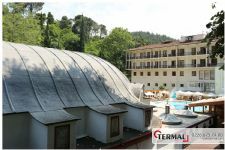 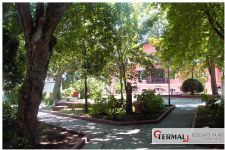 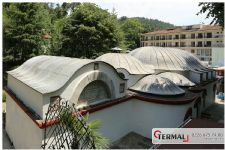 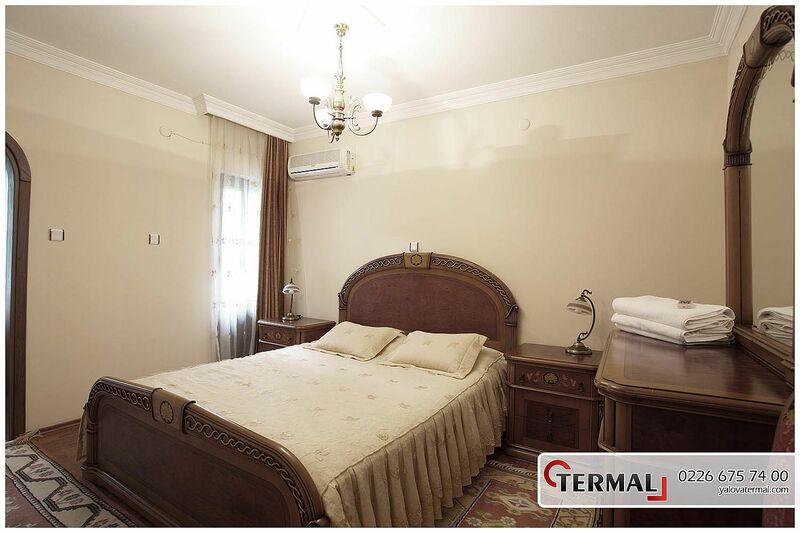 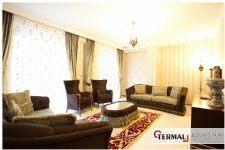 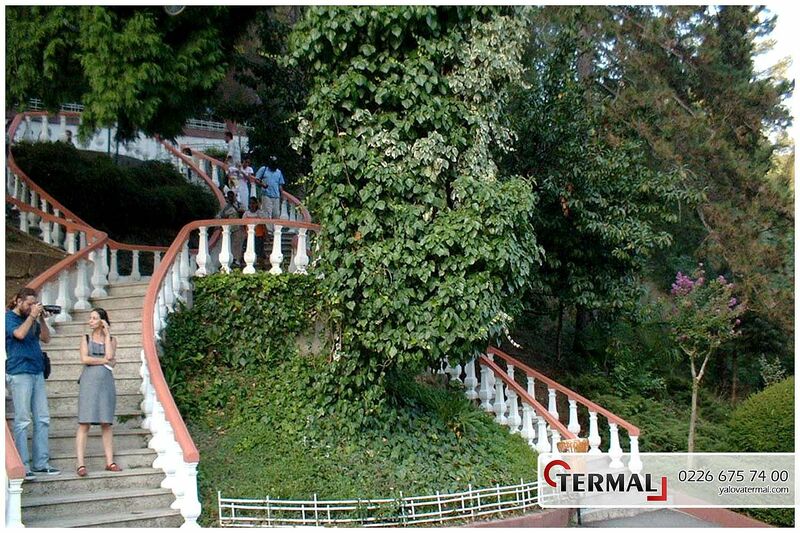 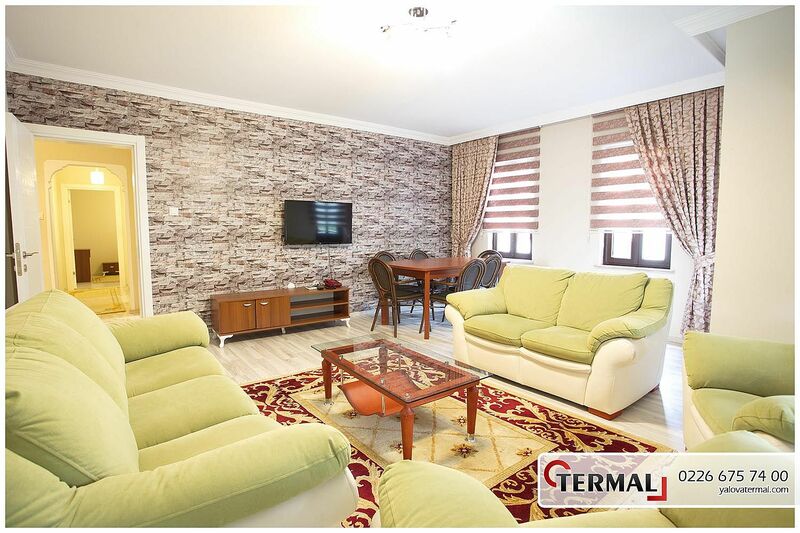 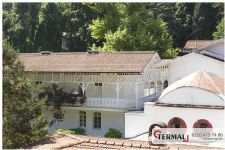 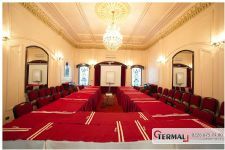 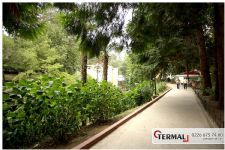 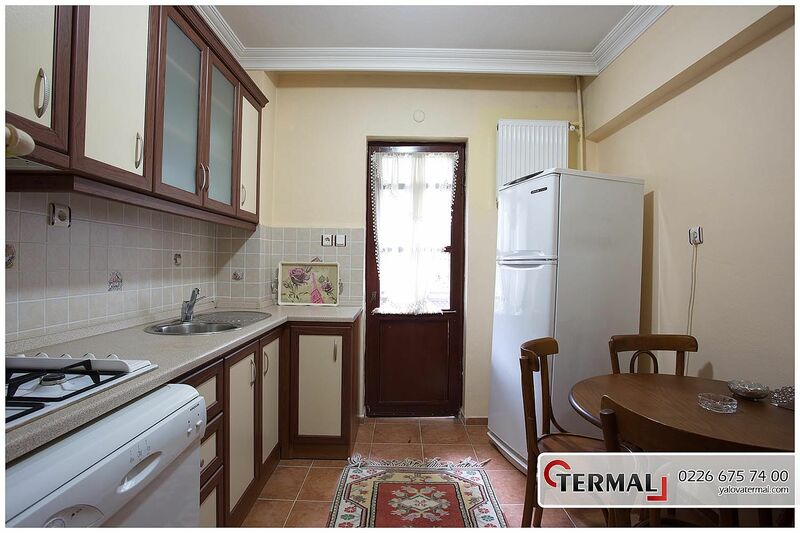 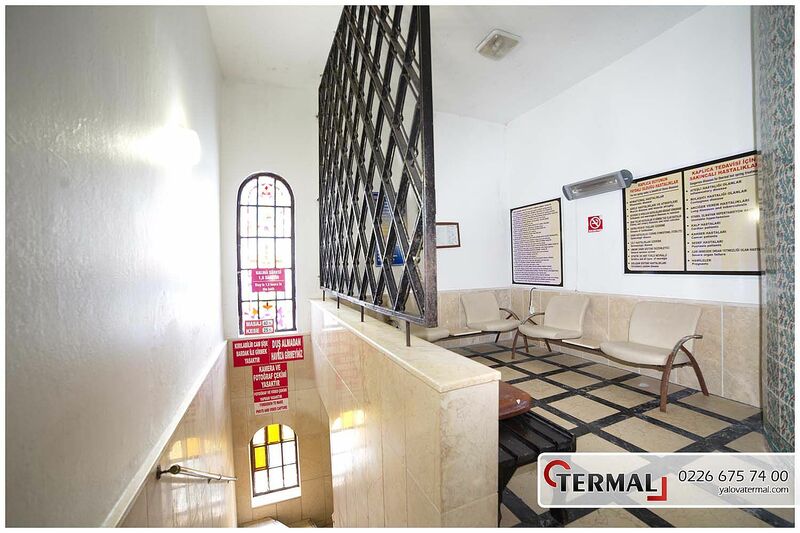 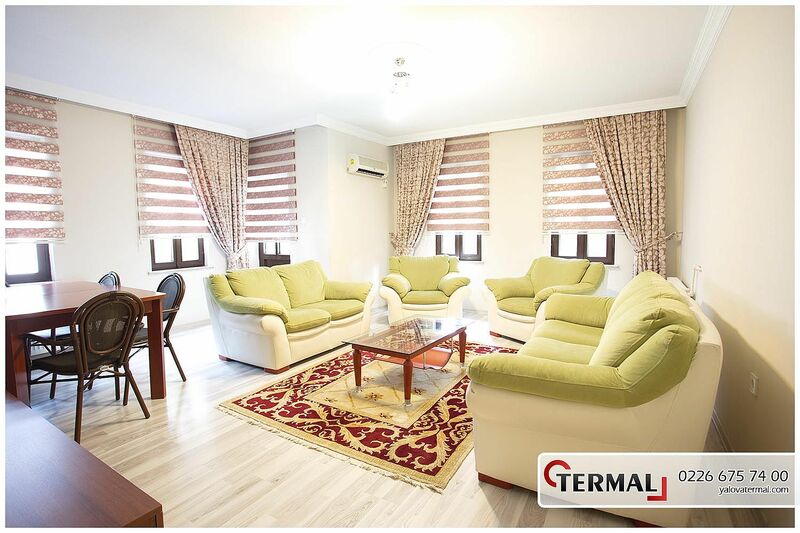 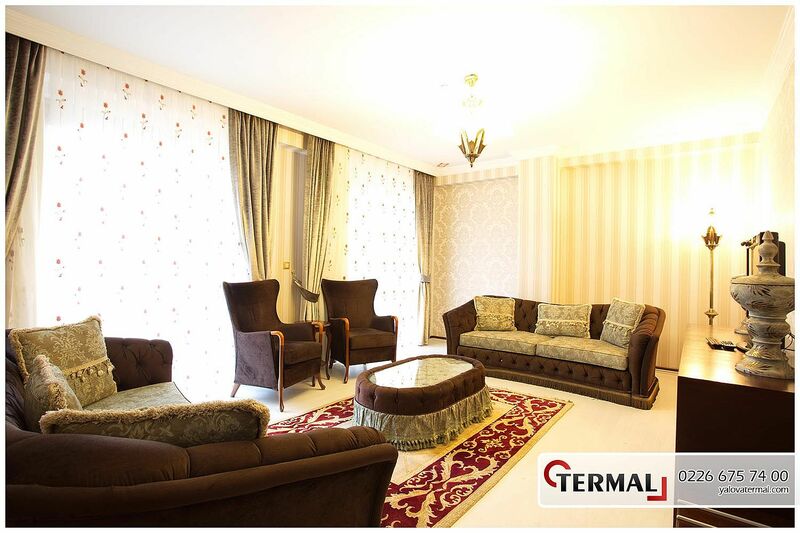 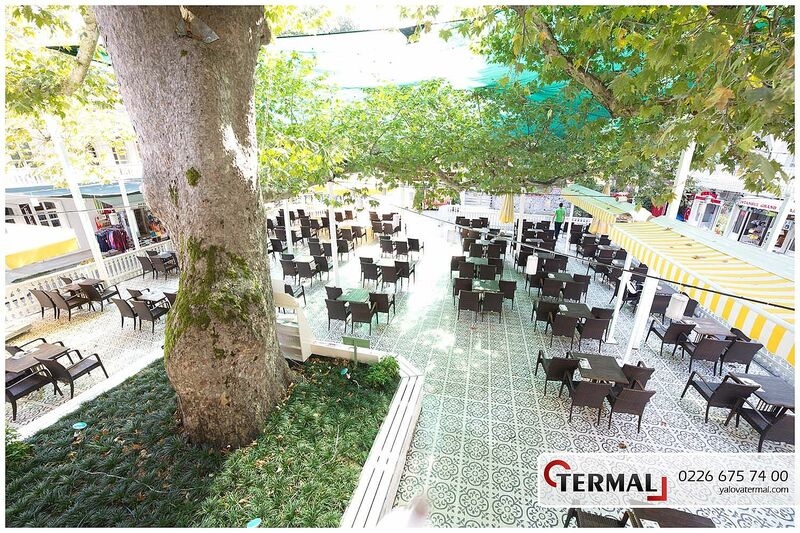 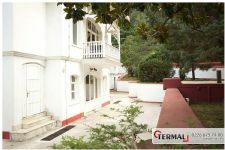 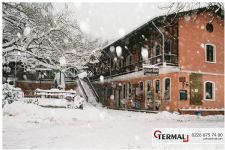 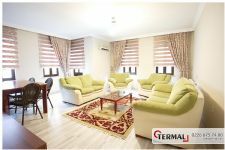 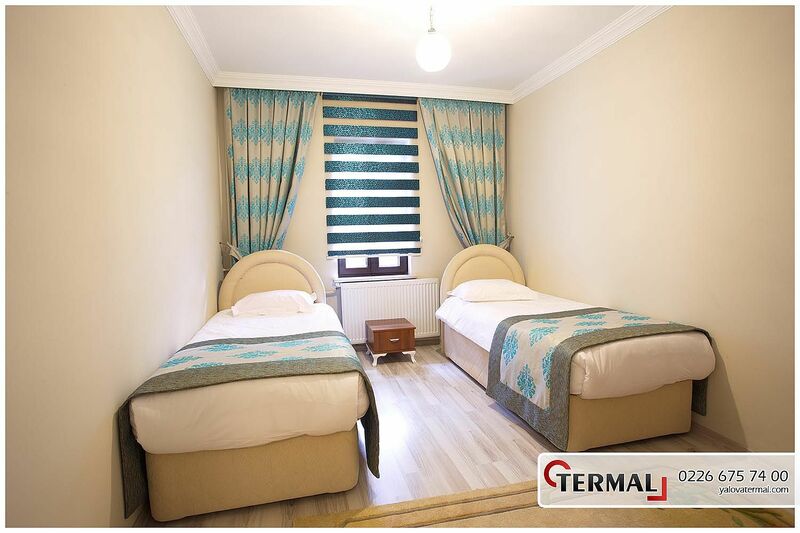 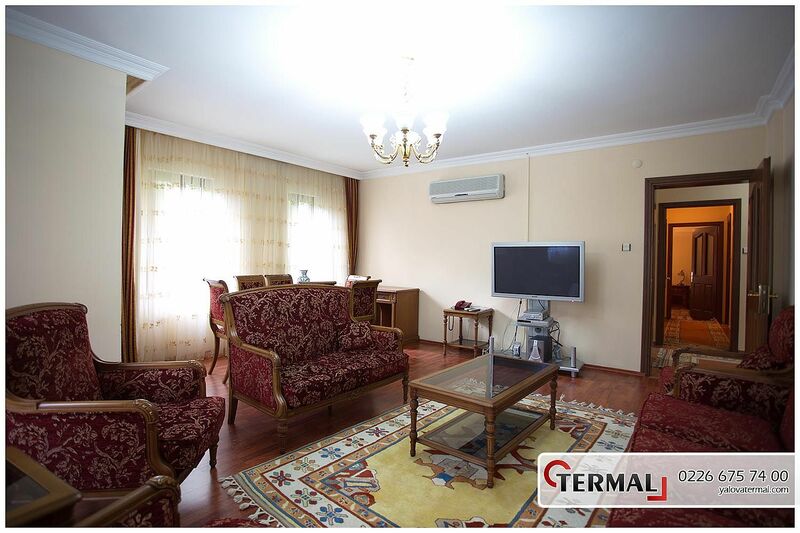 There are Çamlık Hotel, Çınar Hotel, Historical Thermal Hotel and apart-hotels in our facility. 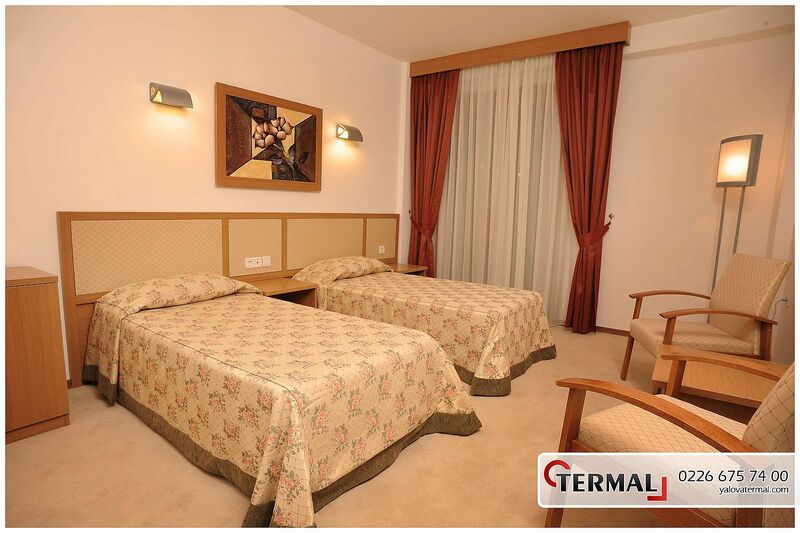 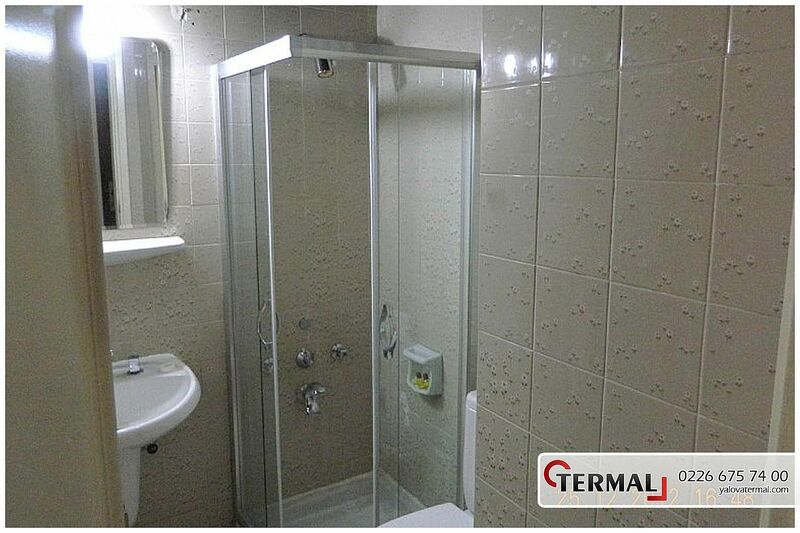 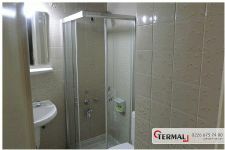 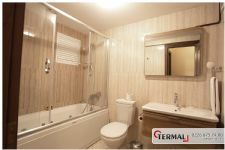 In hotel rooms, tv, telephone, hair-dryer, shower, central heating and music equipments are available. 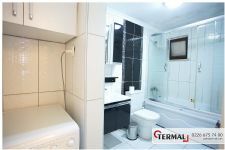 Also, in the apart-hotels, air conditioner, satellite tv, furniture and white-goods are provided for a home-like ambiance. 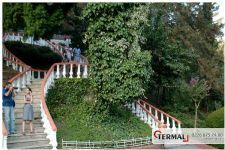 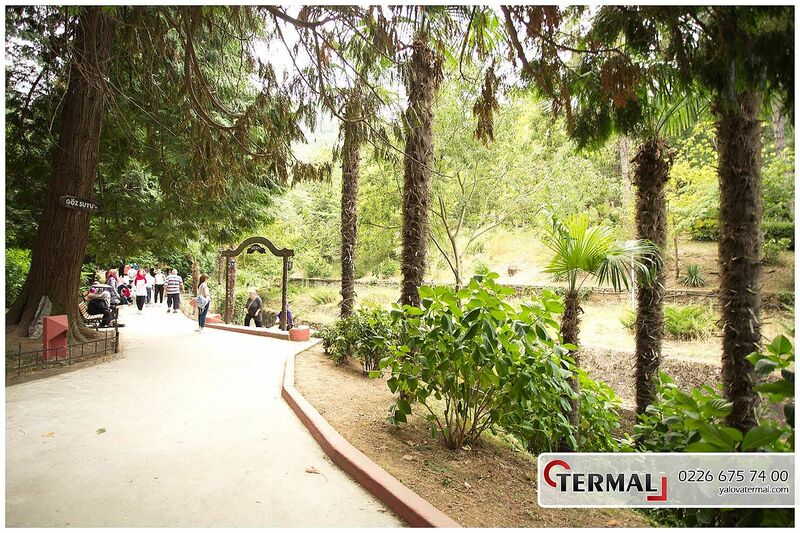 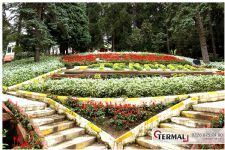 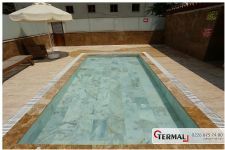 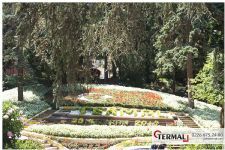 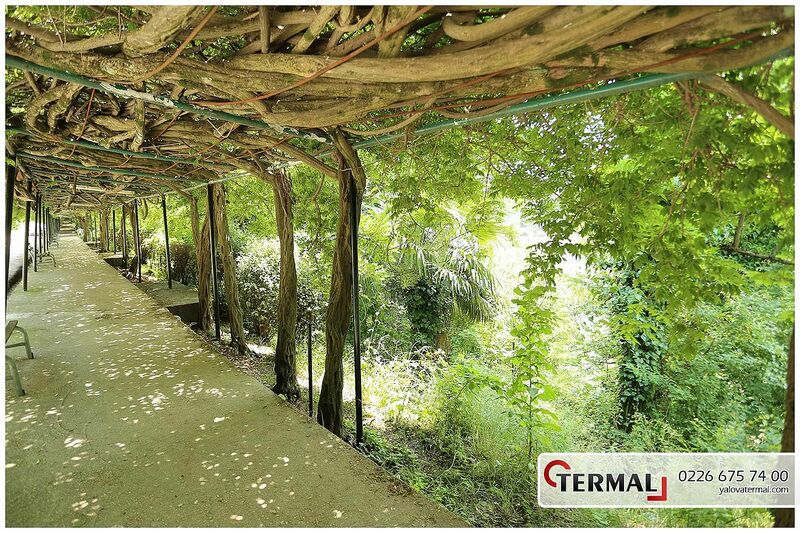 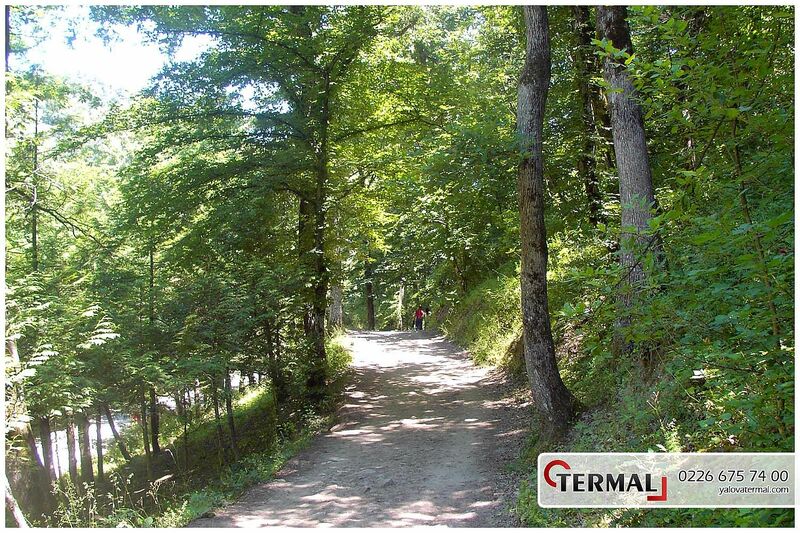 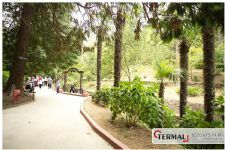 Thermal is a marvellous natural beauty where you can do the sport activities needed for a healthy life. 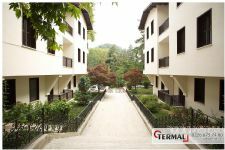 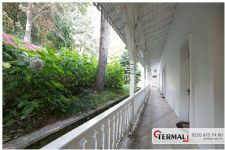 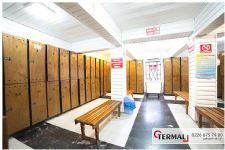 A sports-hall including table tennis, basketball and voleyball courts and a jogging track are available. 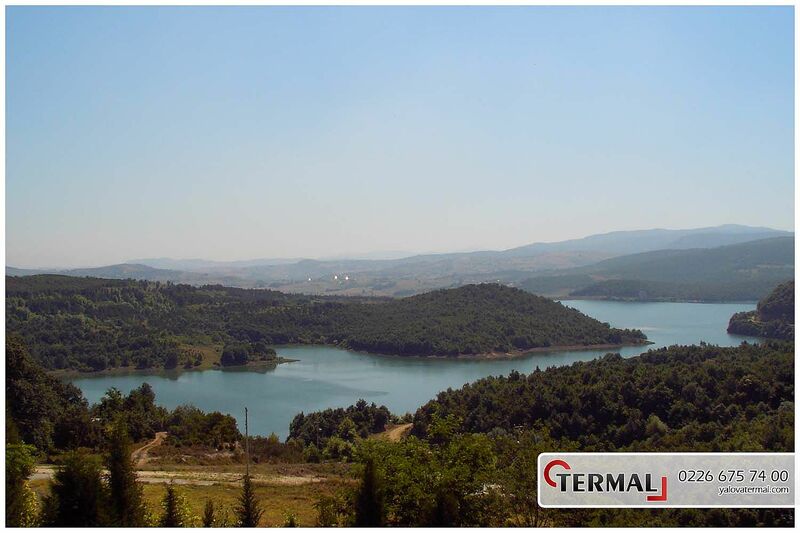 You'll do these activities by the side of the Gökçedere dam-lake while enjoying its fascinating landscape and you'll never forget your joggings through the natural beauties to Sudüşen Waterfall. 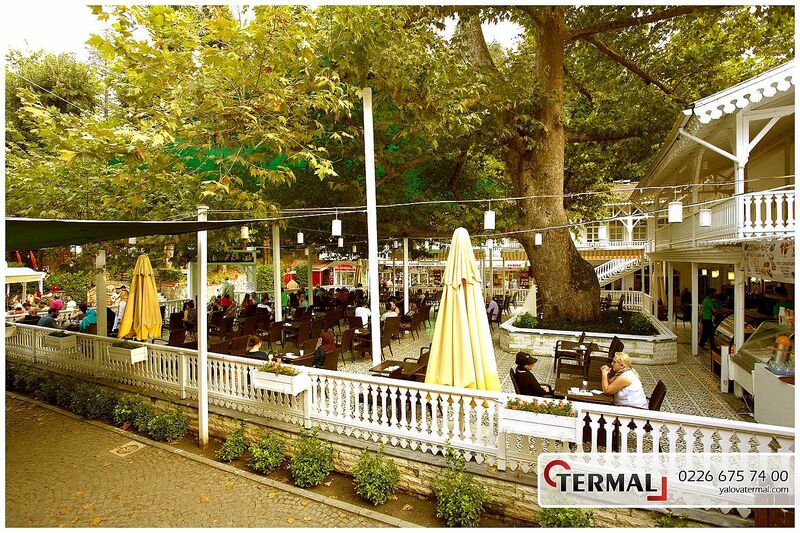 Your authentic excursions to the centres of population of a great natural beauties such as Üvezpınar, Gökçedere, Yenimahalle, Ortaburun and Akköy, will guarantee you to have fun and enjoy the different places and tastes at the same time. 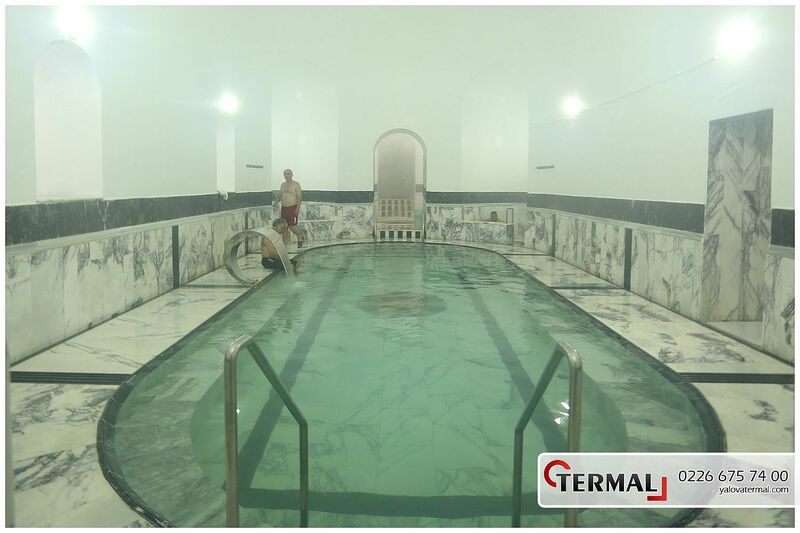 There are some particular diseases the hot spring water can cure. 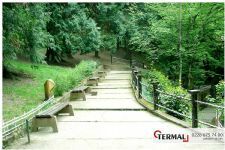 These are rheumatic diseases, digestion system disorders, hepatic diseases, gynecologic diseases and the diseases of gall bladder and kidney.and kidney.and kidney.and kidney. 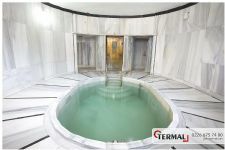 The water for stomach: This water helps the treatment of stomach diseases and it's also beneficial for blood circulation. 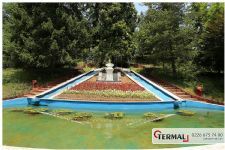 The water for eyes: This water cures eye diseases. The water for feet: It's good for diseases like rheumatisms and eczema. 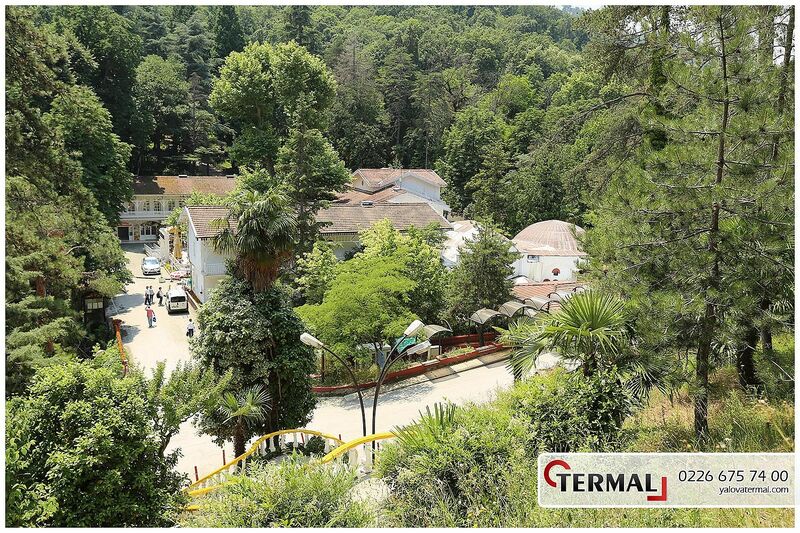 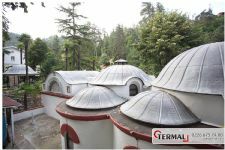 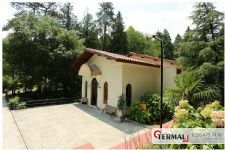 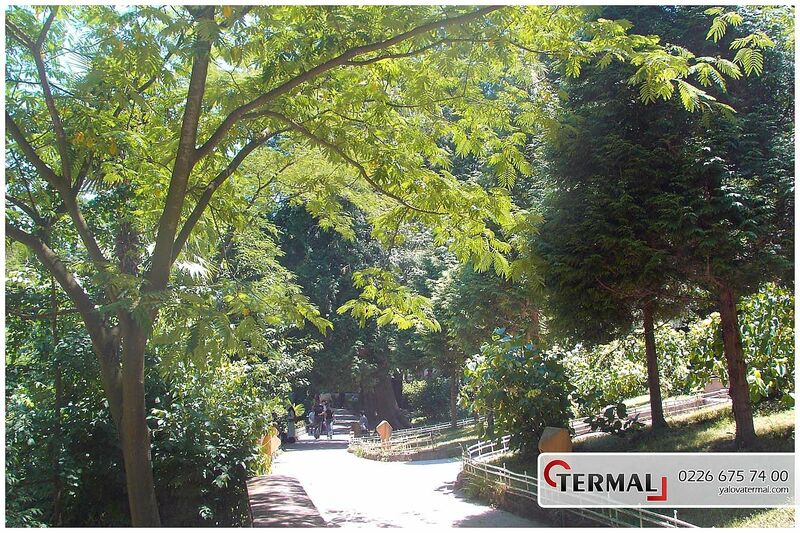 Yalova Thermal Hot Spring Facilities make daily tour plans for its visitors.These excursions are to : The pavilions in Yalova, Karaca Arboretum and neighbourhood such as Çınarcık and Esenköy. 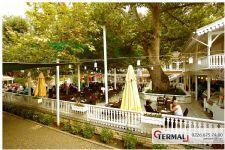 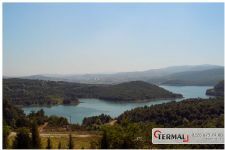 The Lake of İznik, museums, Bursa Great Mosque, Yeşil Tomb and some other places out of the county. 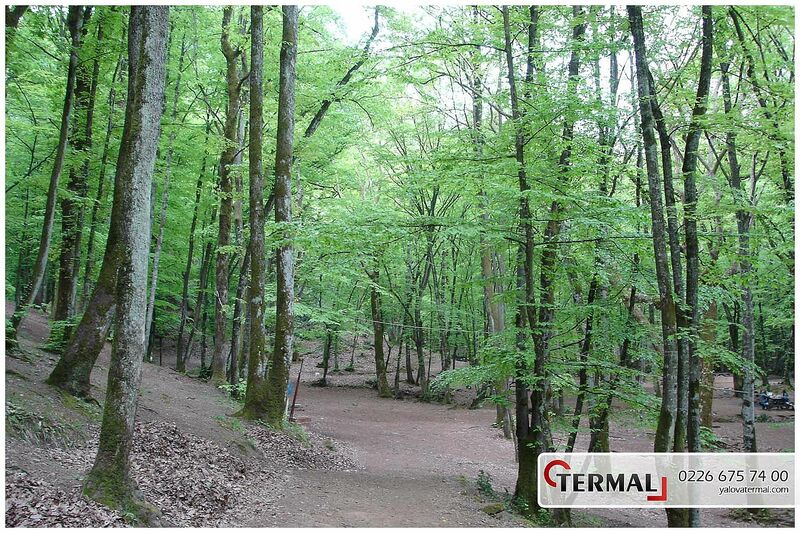 In Addition to the excursions to İstanbul, Kocaeli and Bursa, some different group activities are organized.Mostly, hiking tours in the woods and sports activities are demanded by the visitors. 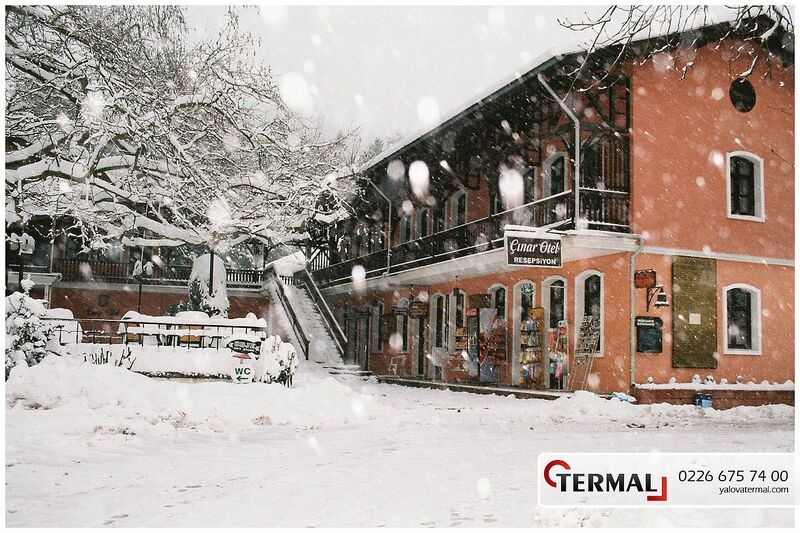 Delmece Plateau, Erikli Plateau and Sudüşen Waterfall are very well-known hiking destinations in Thermal. 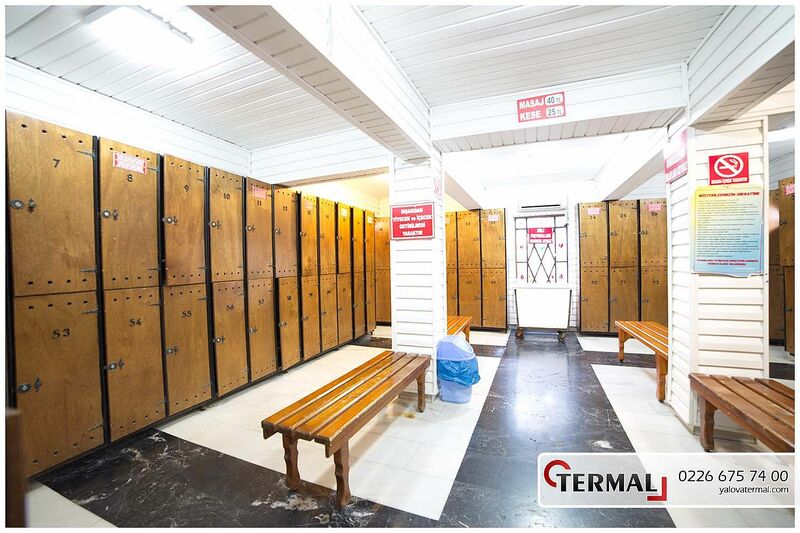 Our facility attracts every type of people with many more activities. 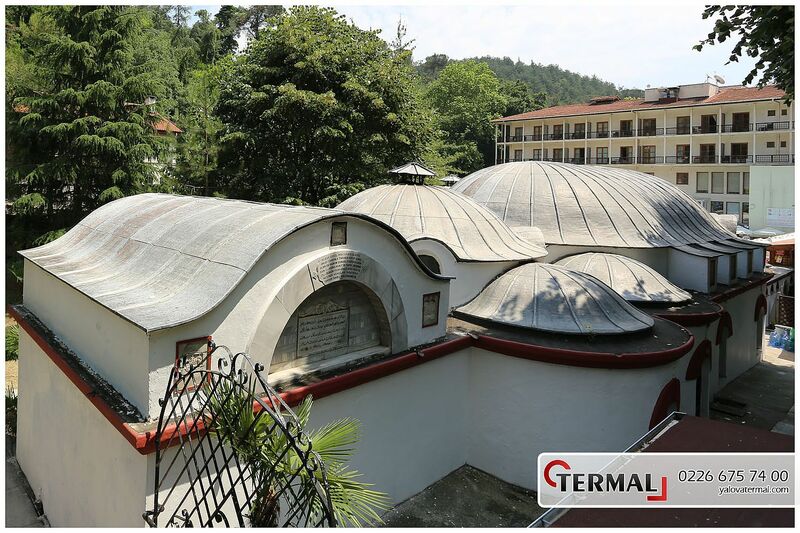 4000 years ago, Yalova Thermal Hot Spring was formed as a consequence of some natural events and for 2000 years,it has lured many to its seductive, healing waters. The prehistoric peoples revered Thermal as a sacred healing source. 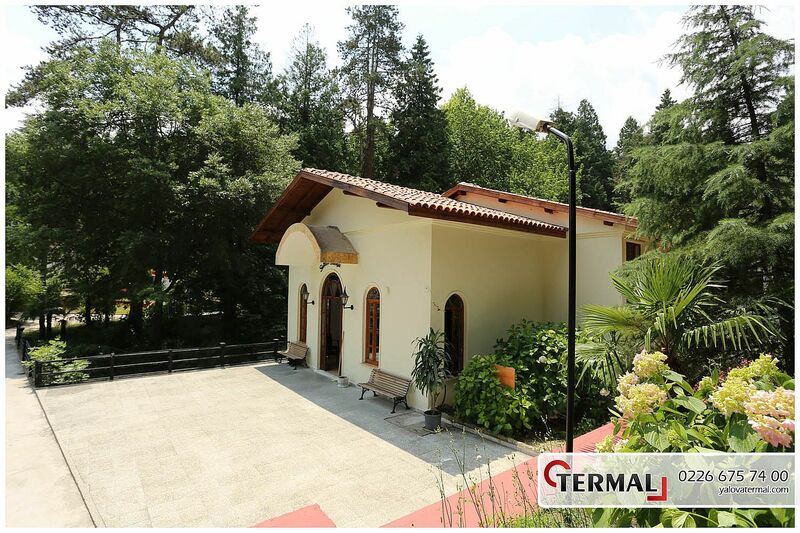 Yalova Thermal Hot Spring, situated in a valley between mountains and covered with a rare flora, is only 12km to Yalova city centre. 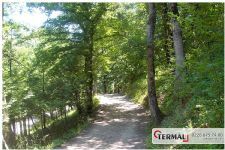 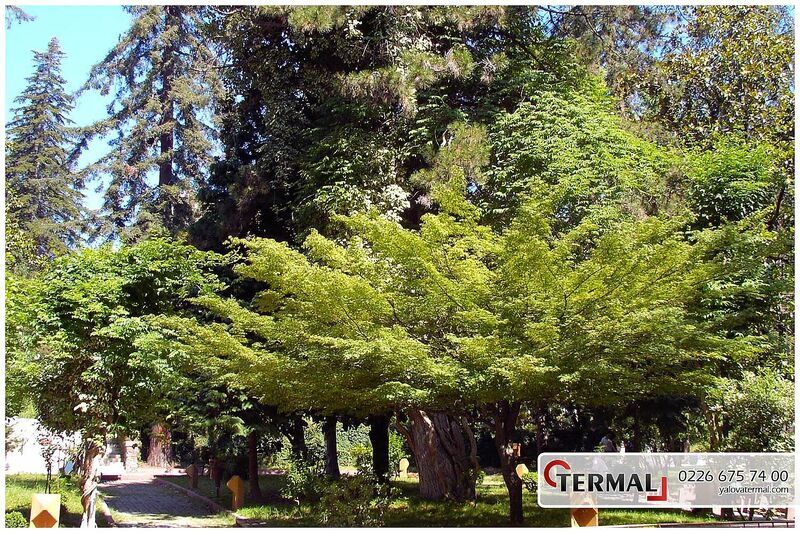 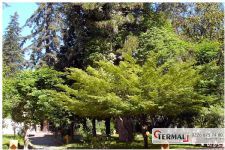 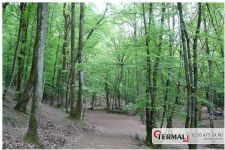 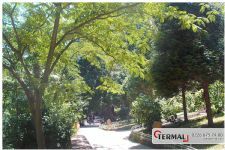 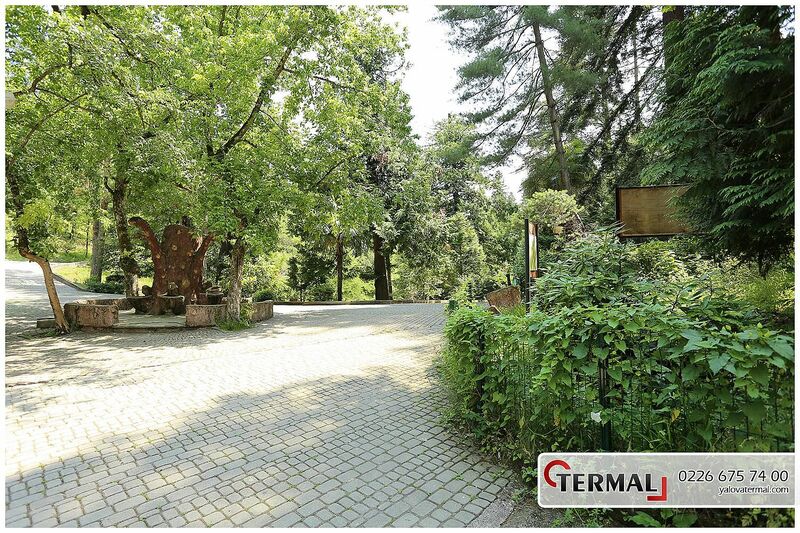 It's located in a forestland of 3600sqm. 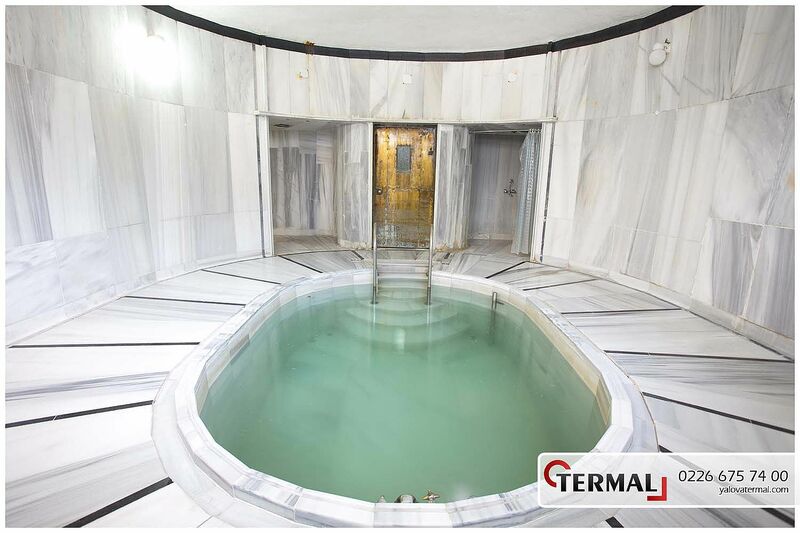 The first baths (hammams) in Thermal were built by the Byzantium Emperor Constantinus (312-337) about 1600 years ago. 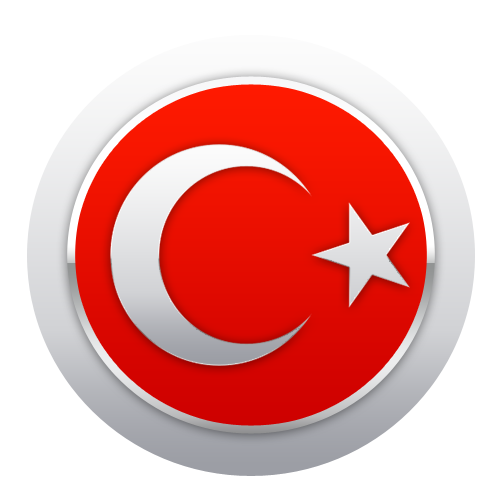 Subsequently, some other emperors of Byzantium built a lot of new facilities. When Ottomans conquered Yalova, Thermal was not very much appreciated, for the capital city of the empire was Bursa which was famous for its hot springs. 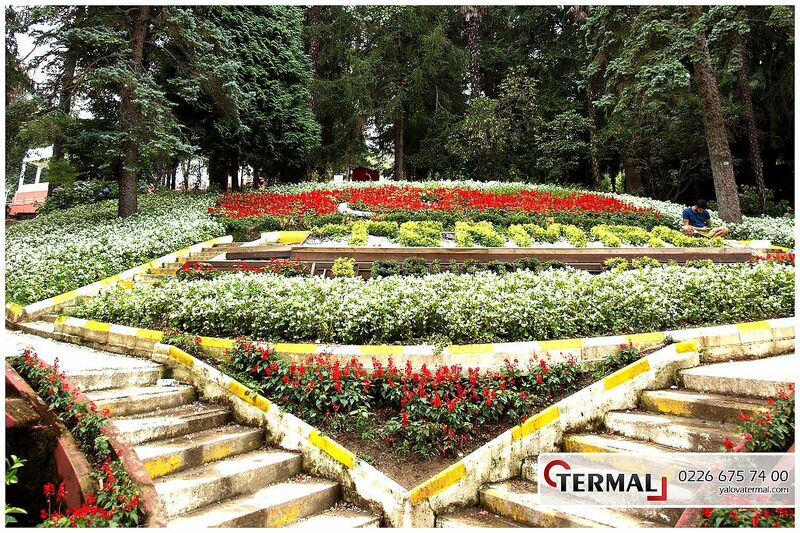 During the period of Ottoman Empire, Sultan Abdülmecid (1831-1861) reconstructed Thermal and his mother Bezm-i Alem Valide Sultan's remarkable recovery from rheumatisms made Thermal much more famous. 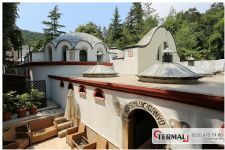 Thereupon, he built new villas, baths and reconstructed the roads. The fame of Thermal increased again during the period of Sultan Abdülhamid II. 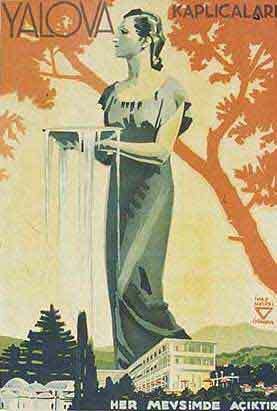 (1876-1908). 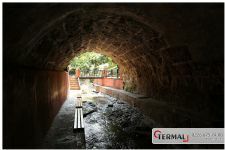 The first analysis of the hot spring water were made. New bats, villas, and casinos were built and all the historical buildings were restored during his reign. 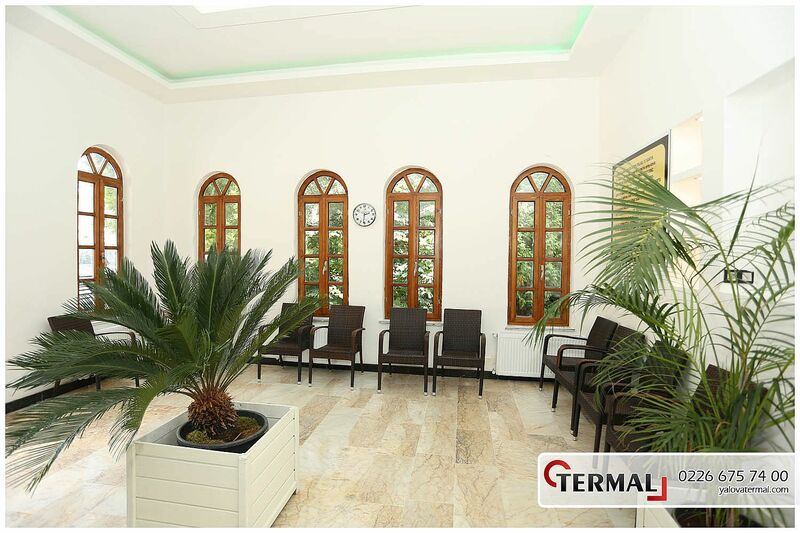 In a very short time, Thermal became a world-wide-known health and entertaintment place. 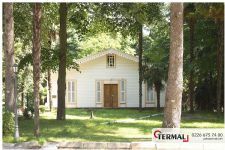 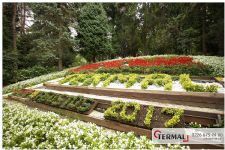 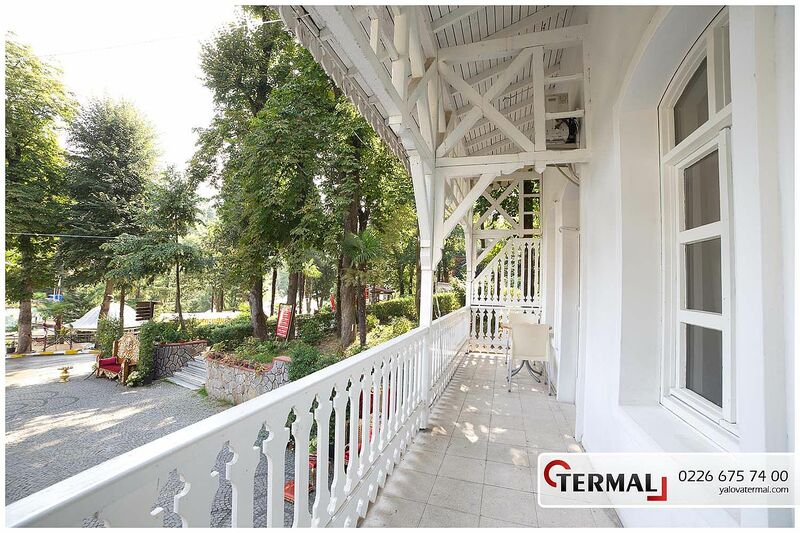 Later on, Thermal was hired and run by foreign investors for a period.However, with the break of the wars (Balkan War 1912-1913, World War I. 1918-1922, and Turkish War Of Independence) Thermal was completely desolated and neglected. 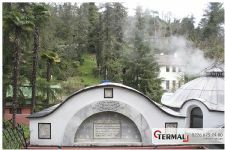 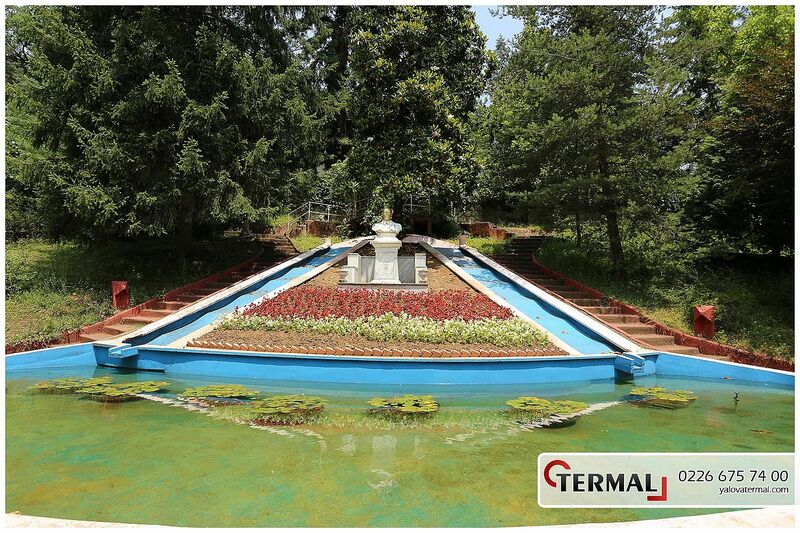 The destiny of Yalova Thermal Hot Springs, changed with our great leader Atatürk's arrival in Yalova (19 August 1919). 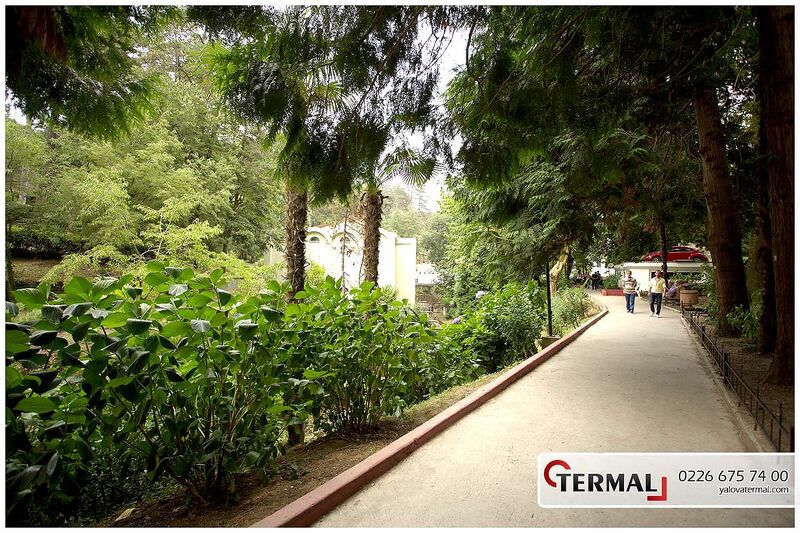 Atatürk, who admired Thermal, was very instrumental in its becoming a renowned health centre and a water city. 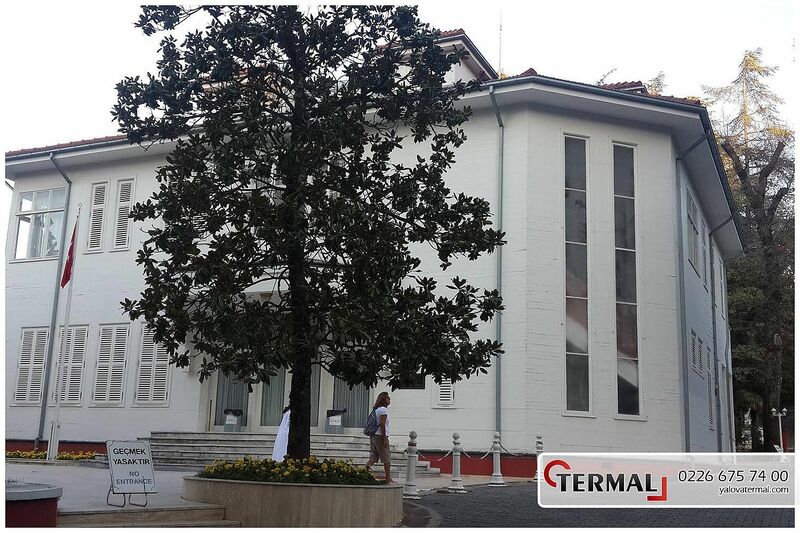 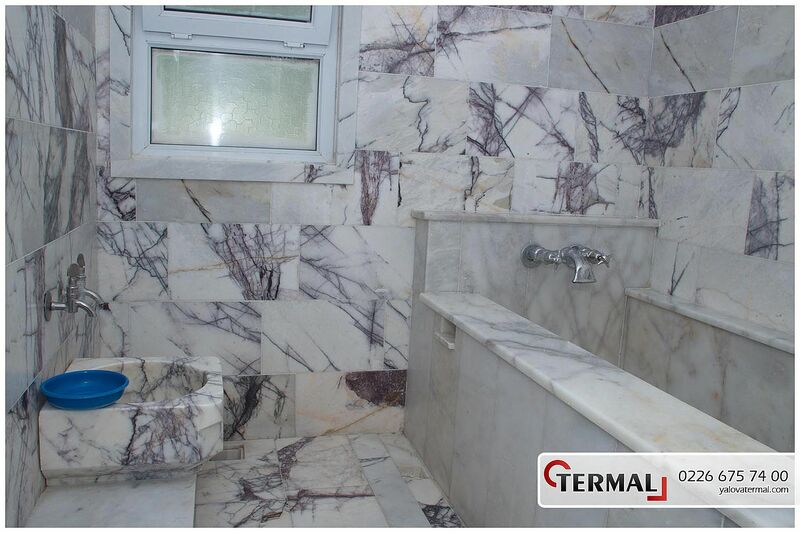 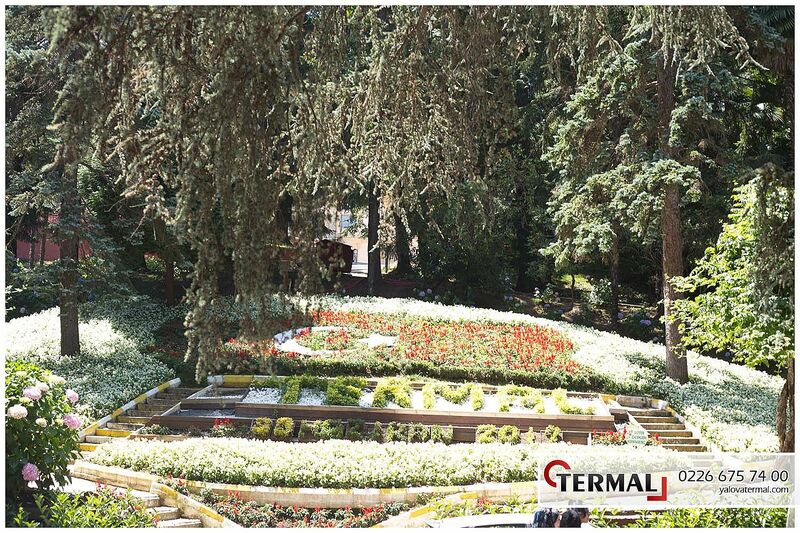 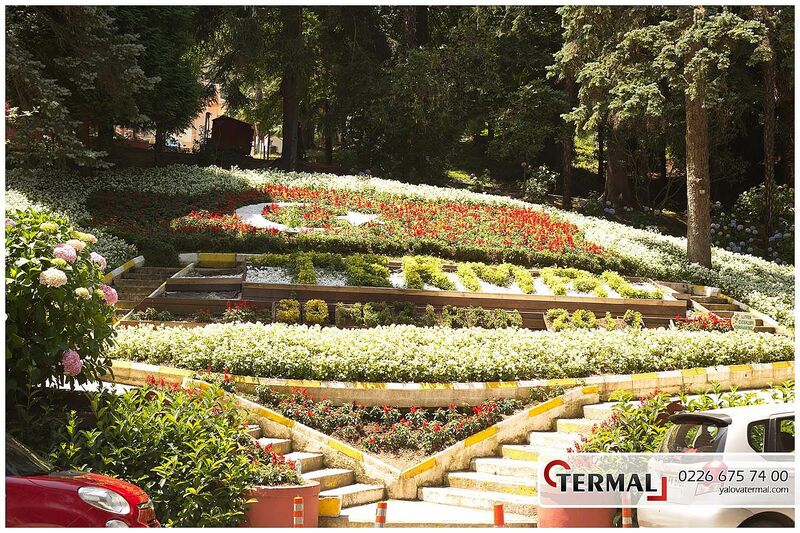 Thanks to Atatürk's efforts, Thermal was reconstructed and revitalized by skillful craftsmen. 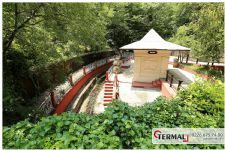 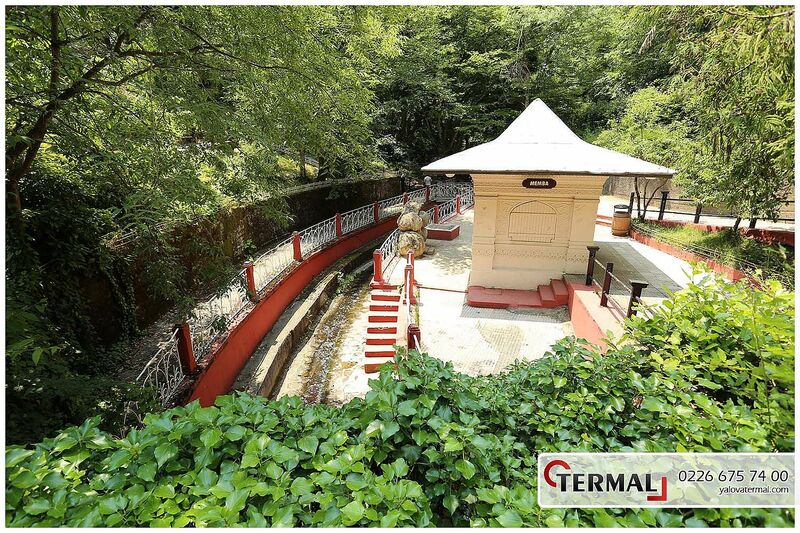 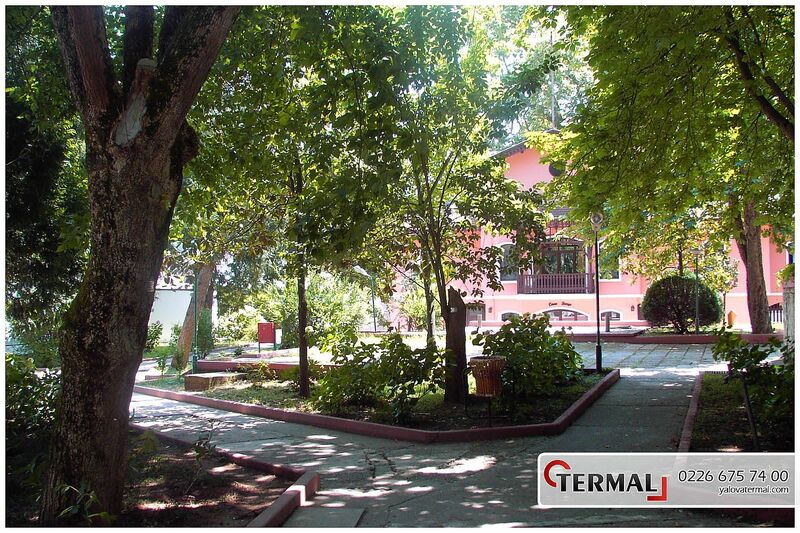 Today, Yalova Thermal Hot Springs is a first-degree historical, archeological and natural sit area. 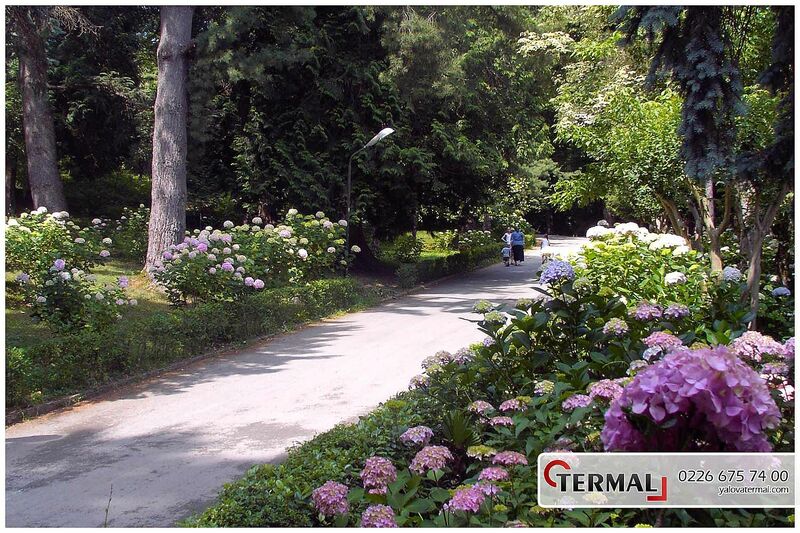 It only takes 1 hour to Istanbul by sea-way and 1 hour to Bursa and Izmit by car. 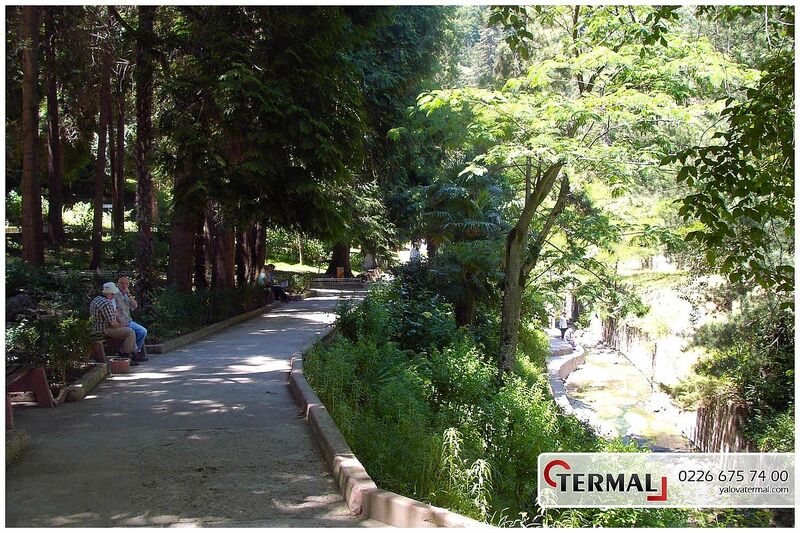 Thermal is 12 km to Yalova city centre and you can take a municipal bus or minibus any time. 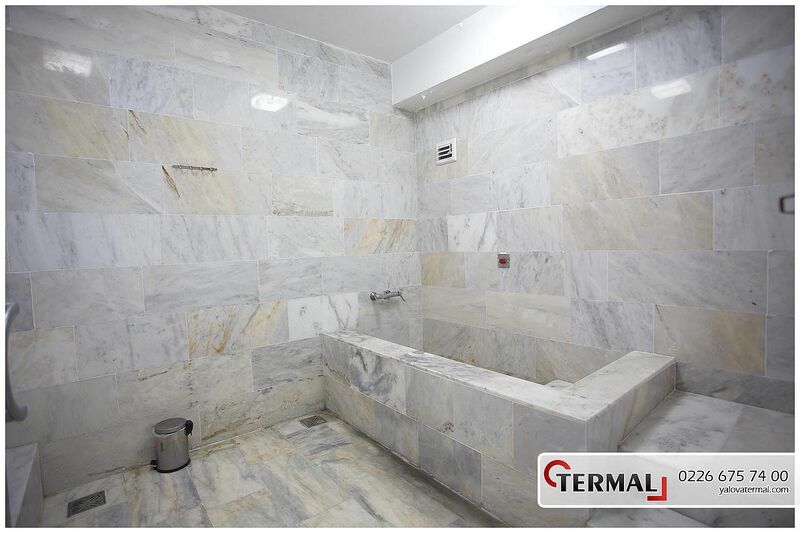 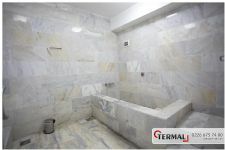 Hammams and hot springs have constituted the basements of many civilizations. 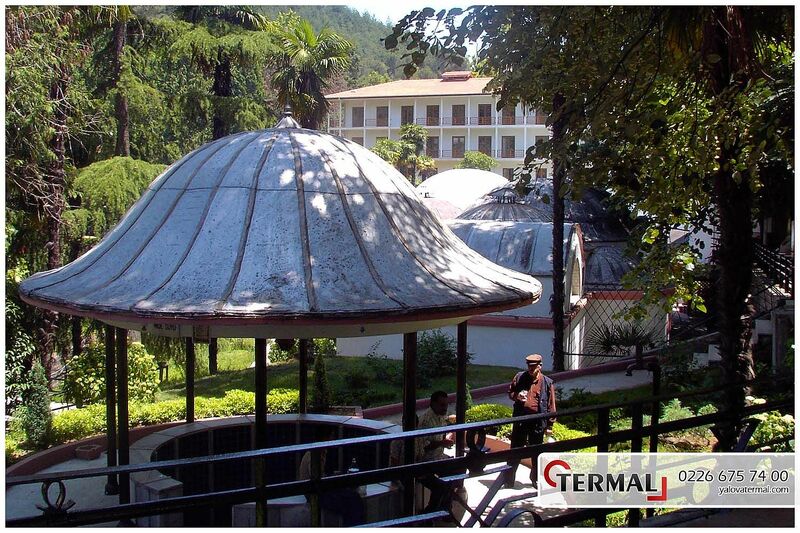 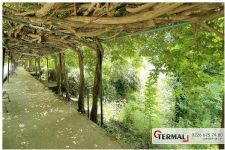 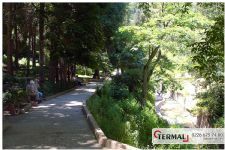 They have been the places which people have preferred through out the history not only for its healing and hygienic effects, also for its social activities. 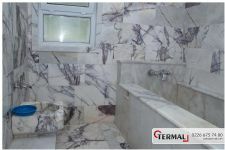 This thought have destined people to search for places which are better, cleaner and more natural. Because of this, natural places with drinkable water have been a cynesure for people. 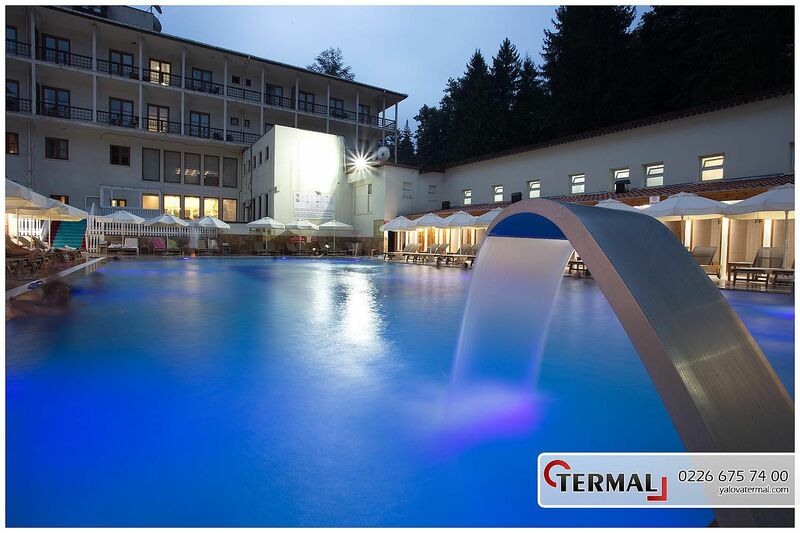 In 1911, the title of 'Most Healing Hot Water' was given to Thermal in a competition held in Rome. 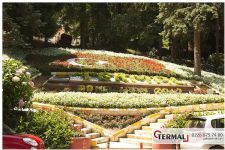 This medallion is still exhibited at the entry of Çınar Hotel.